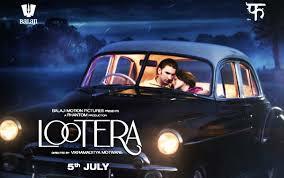 I had read mixed reviews about Lootera so I was a bit hesitant to watch it. I went with an open mind and boy I was not disappointed. Lootera is based on O'Henry's short story "The last leaf". I had read this story during my school days and as such knew the plot of story. I have not seen Vikramaditya Motwane's directorial début "Udaan", but had heard a lot of praise for it. 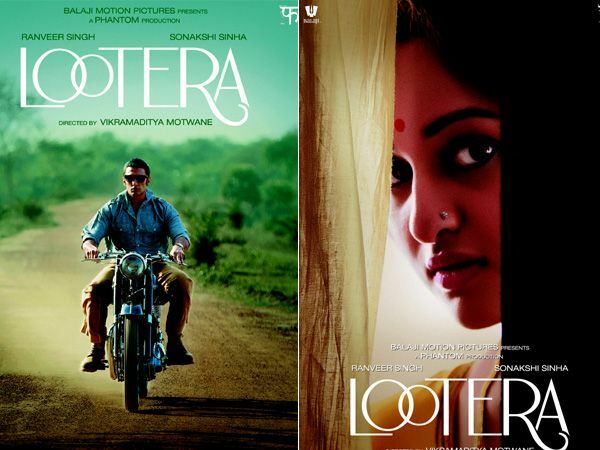 "Lootera" stands the acid test and is one fine piece of art. The film is set in 1953, during the time, when Zamindari abolition act was about to be passed. Varun (Ranveer Singh) is an archaeologist who comes for a dig to Pakhi's (Sonakshi Sinha) fathers land. Their encounter slowly blossoms into romance, which later turns into betrayal for Pakhi, when Varun disappears from her life. Their next chance counter is after a year in a remote cabin in Dalhousie when Pakhi is struggling to deal with her emotions for the man she once loved and Varun seeks atonement for his misdeeds. The movie moves at a languid pace, but at no time you want to take your eyes away from the screen. The cinematography is sheer poetry on celluloid. The dialogues are few and in many scenes the eyes and the body language do the talking. The director takes his time with all his scenes. The period setting makes the perfect backdrop for the romance between the lead pair. There is elegance in the setting, from the haveli, the crockery, Pakhi's sarees and jewellery to the old Chevrolet car. The chemistry between the actors is pure and intense. 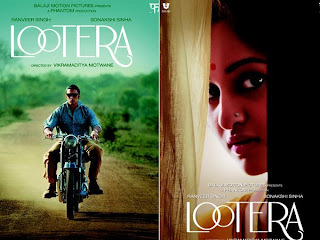 Lootera is out and out a romantic film, even though the story includes an element of mystery, when you take into consideration the burglary angle. To make a short story into a full length film is a tough task. Even then, the writers have kept the storyline and genre on track. The movie loses a bit of steam in the second half, when you want to understand the psyche of Pakhi and why she believes that her life will ebb away as the tree in her courtyard sheds its leaves. You don't get any answer to that question. Ranvir Singh is wonderful and has given a very restrained performance. The movie ultimately belongs to Sonakshi Sinha, who dazzles us with her acting. A very mature performance, where she is able to bring the character of Pakhi to life. The music is very melodious and in keeping with the mood of the movie. The background score only adds to the mood of a scene. Lootera is a unique movie, one which we get to see rarely these days. With all the Masala movies with their fight scenes and item numbers, Lootera will quietly make you skip a heart beat and you will get immersed in the love story of Pakhi and Varun. I would recommend this movie only to those people who love movies and would know what a good movie is all about. Well they had to change it to make it into a full length movie which is a difficult task. But it is a great adaptation in my view. I thought the movie was refreshingly different. Ah, I have been hearing such mixed reviews about this one. But your review makes me want to watch it. Perhaps I will wait for it to come on Tata Sky. 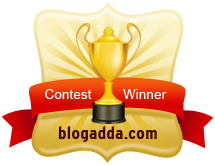 And I just love that song -- "Hawa ke jhonke"
Yes, there are mixed reviews about the movie. I liked it even though it is slow. Many people thought the second half falters a bit which I thought as well but I also thought it was worth the watch. I think Ill watch it ! I am all for such movies. And they say Ranveer Kapoor has done a fab job !